The Arco Fair was held in Madrid last February. 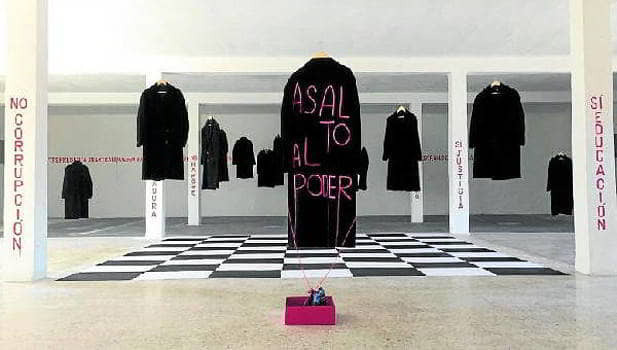 Linked to it, Julia Juaniz presented the exhibition “Assault on power” in the ‘Ciudad del Arte Museo de Zapadores’. The costumes, fifteen black coats of knight of the twentieth century, were given by Peris Costumes.